Delhi government will set up its State Human Rights Commission after the Chief Justice of India expressed concern over absence of such a body in the national capital for over two decades. There was no State Human Rights Commission (SHRC) for the last 22 years in the national capital. Justice Uma Nath Singh and social activist Raj Mangal Prasad were unanimously selected as the Chairperson and member respectively by the Committee constituted to form the State Human Rights Commission.The selection committee comprised Chief Minister as its Chairman, Speaker of Delhi Assembly (member), Leader of Opposition (member) and Home Minister Satyendar Jain. In July 2015, the Supreme Court had asked the Delhi government to set up the SHRC within six months. The court had observed that the government had failed to appoint the SHRC despite the Protection of Human Rights Act, 1993, being enacted 22 years ago. The apex court had observed that the NHRC Curtain Raiser, published on its 20th Foundation Day, showed that of the 94,985 fresh cases registered with the NHRC, the largest number (46,187) came from Uttar Pradesh. This was followed by Delhi (7,988) and Haryana (6,921). Chief Justice of India T S Thakur had in December pointed that there was need of State Human Rights body in the capital. "It is a misnomer that human rights violations are not there in cities. It happens in cities also. It is totally unacceptable that Delhi has no state human rights commission for last 22 years," Justice Thakur had said on the occasion of Human Rights Day on December 10. In August 2015, Chief Minister Arvind Kejriwal had directed that the process for setting up the SHRC be initiated. The government, on December 11 had thanked the Chief Justice of India “for drawing attention on this important issue of public importance and human dignity” in his address. Three candidates Justice Uma Nath Singh (Chief Justice of High Court of Meghalaya), Chief Justice of Jharkhand (Rtd.) Bhagwati Prasad and Chief Justice of J & K (Rtd.) B. A. Khan had been proposed for the post of Chairman of Delhi Human Right Commission. Shri. 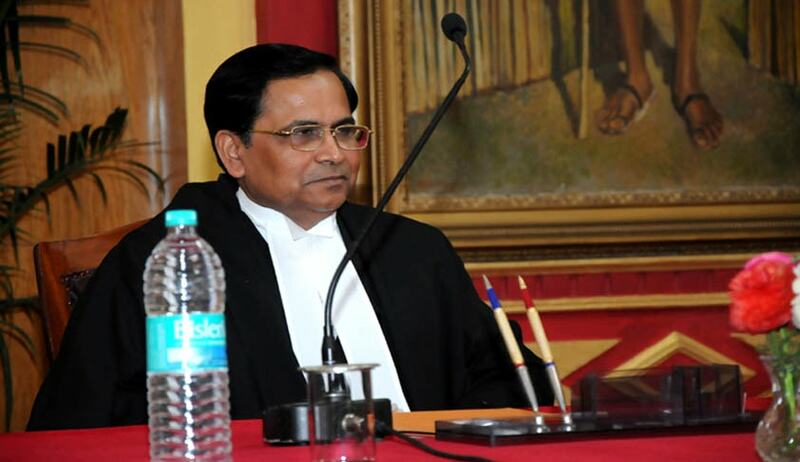 Uma Nath Singh had taken oath as the Chief Justice of the High Court of Meghalaya on March 19 last year. He demitted the Office on January 14. Singh, who was first sworn in as an additional judge of the Madhya Pradesh High Court in 2001, was also a judge in the Punjab and Haryana High Court and the senior-most judge at the Lucknow bench of the Allahabad High Court, prior to being appointed Chief Justice of the Meghalaya HC in March 2015. He had also worked as Central Government Standing Counsel to handle Bhopal Gas Leak Disaster case. He had practiced in the Supreme Court of India for more than 19 years in all type of cases. Raj Mangal Prasad, a child rights and RTI activist, had also contested the Lok Sabha election in 2014 as an AAP candidate from Vaishali, Bihar. He holds a law degree as well as a postgraduate degree in social work from DU.